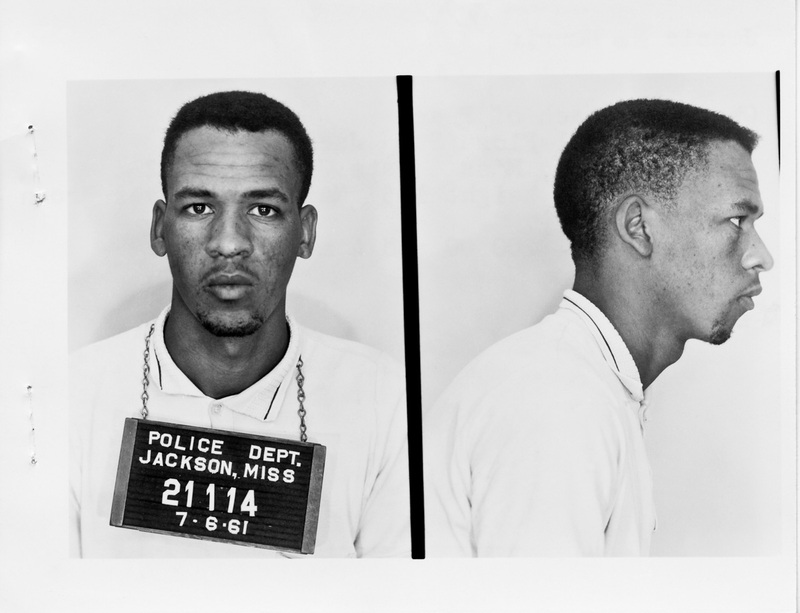 Jesse Harris was one of the many Riders from Jackson, Mississippi, a newcomer to the movement who got his first education in nonviolence while locked up in Parchman with the likes of James Farmer, John Lewis and Bernard Lafayette. Civil Rights would become his life for the next ten years. After the Rides, Jesse worked as an organizer all over Mississippi, from the cotton fields of the Delta to the mean streets of McComb, until 1971. It is a record of perseverance and endurance at a time when many in the movement left the state for other campaigns after a year or two. The following are excerpts from my interview with Harris in 2007. That’s where my education stated. People had to be orientated in the philosophy of nonviolence. Because we were gang members, now. You might say that I was one of the leaders of the Georgetown Gang. When I went to jail, when they heard that I was in jail, the whole gang came in right after me. I didn’t understand nonviolence. I learned all that when we was in Parchman with James Lawson and John Lewis and all of ’em. That’s the way we occupied our time. We was engaged in discussions. I was picking up not only the philosophy of nonviolence but the history. These people had been active back in the 1950s, in the 1940s. I learned so much. I didn’t talk about nothing. I was listening. [Laughs.] I was loving it. Yeah, I was learning it. My favorite was Bernard Lafayette, because he more like the hood type, in his conversation. What you call the street talk. He can relate that back to where I came from, to those of us who were from the Jackson area. We relate to him because he was funny and he was intellectual. Lawson and Farmer, they were talking like they giving a lecture at Harvard University or something, especially when Lawson was talking about the Bible. Everybody was up there singing. That was a demonstration to encourage the people in the area. Ain’t never been so quiet. See, when I get in a situation like that, I go and put some handbills out in the community. We put the date, time, place for the church meeting without even asking for permission. [Laughs.] See? If the people let us use the church when we go in, we don’t say nothing. We give all the responsibility to that minister or to the deacon or to that person. “Okay, Reverend, you lead us off in prayer,” and we’d be glad. “Sister, could you sing a song? Don’t you want to help us sing this song?” See, you getting people involved and let them feel that they’re joining, it’s their whole project, their whole program. That’s a nonviolent tactic. That’s organizing. I ain’t no leader. I’m an organizer, see? When people get involved then they feel good about it. I ain’t no Freedom Rider. You a Freedom Rider. All us Freedom Riders. I ain’t no outside agitator. [Laughs.] I’m from Mississippi. I’m from the community. My uncle live right down the road there. For us to get on the plantation is another thing. We had to hit the road to get to where people lived. The whole county was a plantation. You dress like the locals ’cause you don’t want to be identified. At least I invited ’em. You had to get out there in order to give them that invitation. I think Bob [Moses] had the most influence on all of us. Yeah. 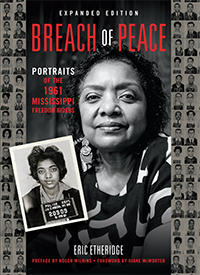 He was the state director for SNCC and the voter education project. The way he worked with us was unique in the way of organizing. He gave you the impression that you came up with the idea. [Laughs.] He make you think that you the one, ’cause you the one gonna be working on it. That’s all he gave me, a contact person. You in a position like that, something gonna happen automatically. And all because Bob gave me the opportunity. He had faith that I could do it. That was the first time in my life somebody approached me about anything.